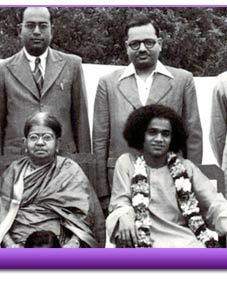 During the 1940s, Baba’s devotees continued arriving - young and old, rich and poor. Even maharajahs and rich landlords came for a glimpse of Him. The press had begun to take notice. Elder brother Seshama Raju, not yet fully aware of Baba’s Divinity, began to worry about the impact of the attention his younger brother was receiving. Would this adoration go to the head of young Sathya? Would he fall a victim to various temptations? Seshama Raju was also disturbed by the ridicule of the cynics and the skeptics to Baba’s claims of divinity. As a concerned older brother, he conveyed his anxiety to the 20-year old Sathya. Baba sent His reply in a letter dated May 25, 1947. 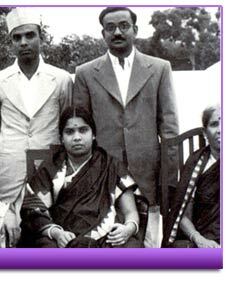 Although the letter was intended for Seshama Raju, it was in fact addressed to - as Baba says - “all who are devoted to Me”. We are fortunate to have the contents of this epistle. It is a powerful declaration of the purpose of the Sai Avatar. Even more noteworthy is the equanimity and the maturity with which the young Baba addressed His older sibling’s concern about the critics. If the truth is determined by its ability to stand the test of time, then the words of the 20-year old Baba expressed in this letter are as valid today as they were several decades ago reflecting His unshakeable resolve to fulfill His mission. And to date, Baba continues to pour nothing but pure love even upon those who judge Him harshly. 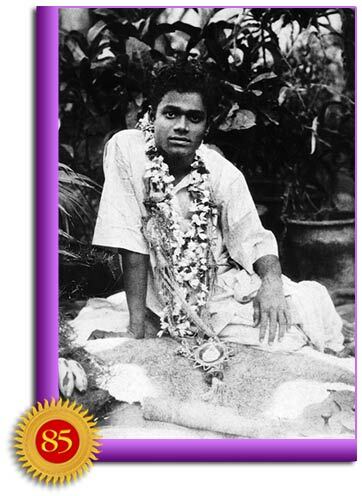 I have a Task: To foster all mankind, and fill peoples lives with Ananda (bliss). I have a Vow: To lead all who stray away from the straight path into goodness again and save them. I will never give up those who attach themselves to Me. When I am thus engaged in My beneficial task, how can My Name be ever tarnished, as you apprehend? I would advise you not to heed to such absurd talk. Mahatmas do not acquire greatness through someone calling them so; they do not become small just because some call them small. Only those low ones who revel in opium but claim to be unexcelled yogis, only those who quote scriptural texts to justify their gourmandry and pride, only those who are dry-as-dust scholars exulting in their argumentative skill, are moved by praise and blame. 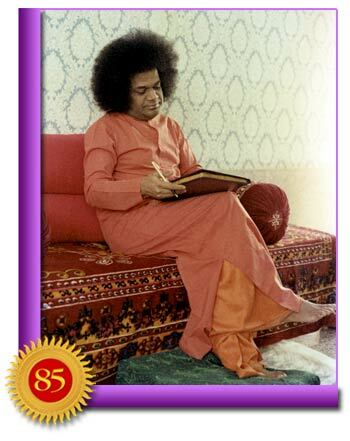 You must have read the life-stories of saints and divine personages. In those books, you should have also read of horrible falsehood and heinous imputations cast against them.This is the lot of Mahatmas, everywhere, and at all times. Why then do you take these things so much to heart? Have you not heard of dogs that howl at the stars? How long can they go on? Authenticity will soon win. I will not give up My Mission nor My determination. I SHALL carry them out. I treat with equanimity the honour or dishonour that may result. Internally, I am totally unconcerned. I act, but solely in the outer world. If I talk and move about, it is entirely for the sake of the external world and for making people realise the advent of Divinity. Other than this, I have no concern with anything. As mentioned earlier, Baba wrote this letter to his older brother in the 1940s, in response to his concerns. In one his lectures, Baba’s biographer, late Prof. N. Kasturi, said: “In the spiritual museum that they have in the college, there is a letter - a photostat of a letter - that Baba wrote to His elder brother when He was 21 years old. The date mentioned is 1947, when there was no post office in Puttaparthi. The nearest post office was five miles away. As you can see from the note paper, it talks of the Bukkapatanam post office and not the one at Puttaparthi or Prashanti Nilayam. 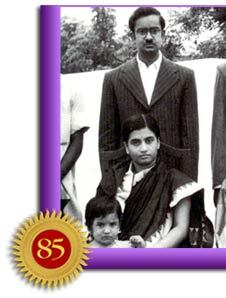 It also has a picture of Baba as He appeared at that time. “His elder brother was rather disappointed with Him because he had great hopes that he would pass His university examinations and get into some cushy job whereas He had given up His studies and was collecting people around Him, and was being lionized by all sorts of people. He thought that He had strayed away from the usual path of educated people in our country. “So he wrote to Him a letter protesting against His behaviour. And this letter was in reply to that. In that message, because His elder brother was a Telegu pundit, Baba wanted to go one step over His elder brother and replied in poetry - His elder brother also reveled in poetry. And there you find Baba stating the purpose of His coming. “He tells him, ‘You don’t understand Me. You cannot understand Me.’ And He continues, ‘Not only you, but the whole world, however they may try, whatever they may do, it’s not only today, for however long they may try, they cannot understand Me. Prof. N. Kasturi goes on to say: “Imagine a young man of 20 saying He has no name! That He will answer to everywhere. And that whichever place you belong to now, that is His place, that every place is His. If we see the present and what it is becoming - the whole world is His arena. I have got a purpose for which I have come; I have undertaken a great mission. I have resolved upon one thing which I will carry out. And that is, I will give Ananda to the entire mankind and save them through that Ananda. “Now imagine this for a boy who has lived in Puttaparthi – somebody has described it as a village which is five minutes from the Stone Age – born in that rural locale, and in a very poor family. Baba did not have money to even purchase buttons for His shirts. He used to collect thorns from thorny plants – long ones – and use them to hold his shirt together, in place of buttons. “The next line in that poem goes like this: Those who stray away from the righteous path, from the path of dharma, I will hold them by the hand and save them; that is My vow. I have come on a mission that you can’t understand. I am not your brother; I am not your Sathya Narayana Raju whom you can say: ‘Why are you throwing away your books? Pass your B.A. degree examination and become an officer in the government.’ No! I have no name. I have no native place; I have come to give Ananda (bliss) to entire mankind. I have come to correct people from straying away from the straight path - wherever they may be, whoever they may be. “And in the third line, He says: I have come to spread Love, Prema,by removing the great grief of people who are poor, distressed and downtrodden. I will remove their sorrow and give them what they lack. It may be material means or spiritual strength; whatever they lack, I will give.